Firstly, I cant find any videos of this model in use. What is the noise level like? I'd like to be able to run this in my flat without disturbing the neighbours. I've seen brushless, belt driven machine of this size in use and they seem quiet. Is there potential for a belt drive conversion and is the brushed motor any louder that its brushless counterparts? If you were to compare the noise level to a household appliance, what would you say? 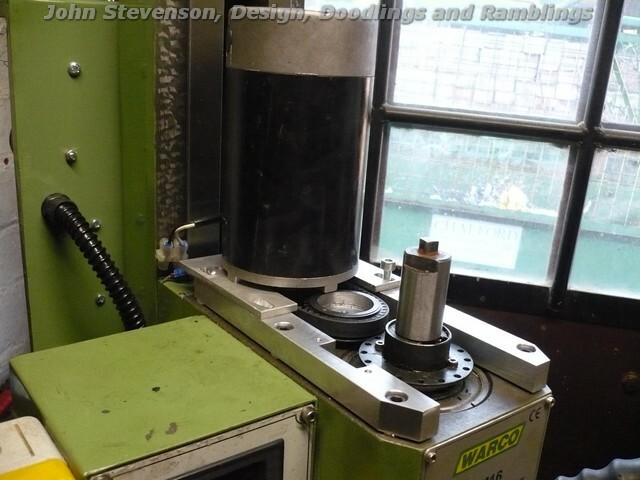 Secondly, i'd like to hear of people's experiences both in general and in CNC conversions with this machine. I'd appreciate recommendations of other machines however my budget limit is £1000. I have no experience with CNC so if you think there's anything in particular that I might have overlooked with this machine or be unprepared for, please let me know! Thanks for the suggestion Martin but they wont ship an item that heavy to the UK (should have mentioned I live in the UK). Try also Optimum BF20 Vario. It's also similar to the wm-16. I have one and I think his noise, when cutting steel, makes it not adequate to use in a flat. If I were you I would prefer a belt drive solution with a brushless motor. Thanks for the insight. Looks very similar indeed. I'm looking for products with similar power but quiet enough. Do you think that this noise is due to the gearbox or the motor itself? Could a belt drive mod bring the noise down to an acceptable level? I don't think Martin was suggesting you ship a G0758 mill from the US but look at the owner's reports (some on Youtube) and CNC conversions. Or perhaps G0704. Luke: Could a belt drive mod bring the noise down to an acceptable level? DC: Yes I do think so. However I've been expecting some project or kit to modify my milling and till now couldn't find it. Luke: Do you think that this noise is due to the gearbox or the motor itself? DC: It's due to the gear box and also to the transmission among the gears and the splines in the milling spindle. I recomenbd you to see the message from Paul Lousick. If I was buying a milling machine perhaps I would buy an SX2 or SX3 from ArcEuroTrade. My SX3 at full speed with no load is quieter than my food processor or washing machine. The total noise generated depends on what type of milling operation you are doing. Drilling a 10mm hole or light milling is no more noisy than my pistol drill. I have a WM16 and it is somewhat noisy. Not the sort of machine to use in a multi occupancy building. The SX3 is much quieter but weighs in a fair bit above your £1k. Looks similar in spec. to a belt drive WM16 on first glance and also may have R8 which would be an asset IMHO, but this option is OOS at the moment. I have an old Sieg X2 with brushed motor and gears, it is noisier than my friends Sieg SX2 with brushless motor (and no gears). The SX2 also seems to have more torque than mine, especially at low speeds. Hello Luke - WM16 has quite a high pitched shrieking noise from the gear train especially at the higher speeds. I would think the neighbours would be banging on the walls in short order. If you go down the CNC road my advice would be to use the mill in manual mode for a period to get used to the "feel" of the machine. In particular, my WM16 has needed some fairly dramatic take up of the slack in the XYZ gibs over the last few years from new and only now that the gibs appear to have bedded down would I feel confident in fitting CNC which I will not be doing anyway. Some people like yoga or meditation - I just like winding handles. There are a couple of problems with these. Main one is mostly you need access to another milling machine to clear under the table to allow room for the ball screw, it is tight. As regards noise, they are noisy, I replace the primary gear drive with timing belt which helped but the main gearbox is still noisy. I did not like wearing hearing protectors when using my "King Canada KC20-VS" so I ordered a belt drive from benchtopprecision.com and (when it eventually arrived) made an incredible difference. It has two speeds, and alters the speed range "up" slightly. It was very well made, but took a while to arrive. Installation was easy - the only issue I had was that the guard cover screw needed to have a spacer turned up to move it "out' slightly - 20 seconds on the lathe with a bit of brass rod. Pretty nice looking installation manual available to download before purchase too, John. Might think about that myself before long. You just snuck in under the vent there eh? Good eyes. Yes - would rather have purchased a Tormach PCNC 770 with stand, but did not have the vertical height. Most of my workshop ceiling consists of duct work, and I have maybe 1 square metre where it is higher. I mention this only because it is easy to look down measure the footprint of possible new equipment (yes, this will fit through the door and sit HERE) but one must look at the height above, too! This is easily overlooked. I was able to assemble this mill shown elsewhere in my workshop, move it close to its final position, then put the Z stepper in place, then roll it back against the wall. Thanks to you all for your comments and pictures! The general tone is that the WM16 WOULD be too loud and that for the price, the SX2 would be a better buy. Considering I live in the UK, where is the best place to buy one of these machines currently? I notice Axminster do one with a 500W brushless motor and a belt drive for £820, not bad. Arc do an SX2P which i've been told is not ideal for CNC conversions due to the lack of space in the table and saddle for ballscrews, for 705 + delivery. Anyone else know of a good place to get hold of an SX2? Virtually no difference between the two except for the table and travels and spindle. Axminsters is MT3 only and Arc's is MT3 or R8 which is a better taper for a milling machine, less thumping about. I know which one I'd chose given these specs. Are you sure? Looking at the tables, they seem visibly different. 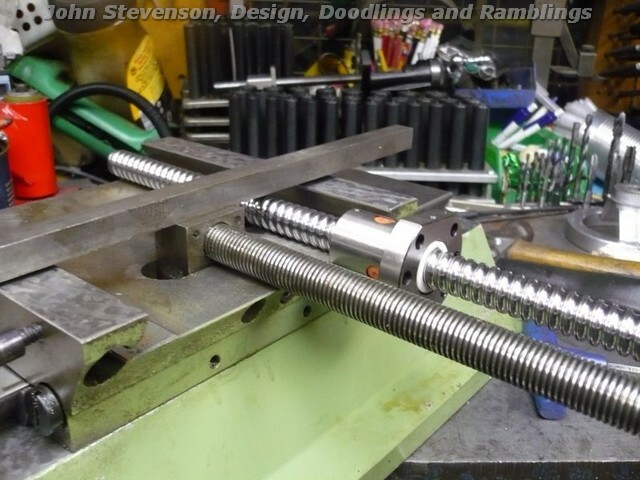 I've been told that there's only enough space for a 10mm ballscrew. Would this be large enough for CNC on a machine of this size cutting steel? I'd prefer to go with the SX2P if i can be convinced that the CNC conversion is still viable. I have the base of an SX2P here somewhere, I'll have a look tomorrow and offer a couple of screws up and see how they will fit.